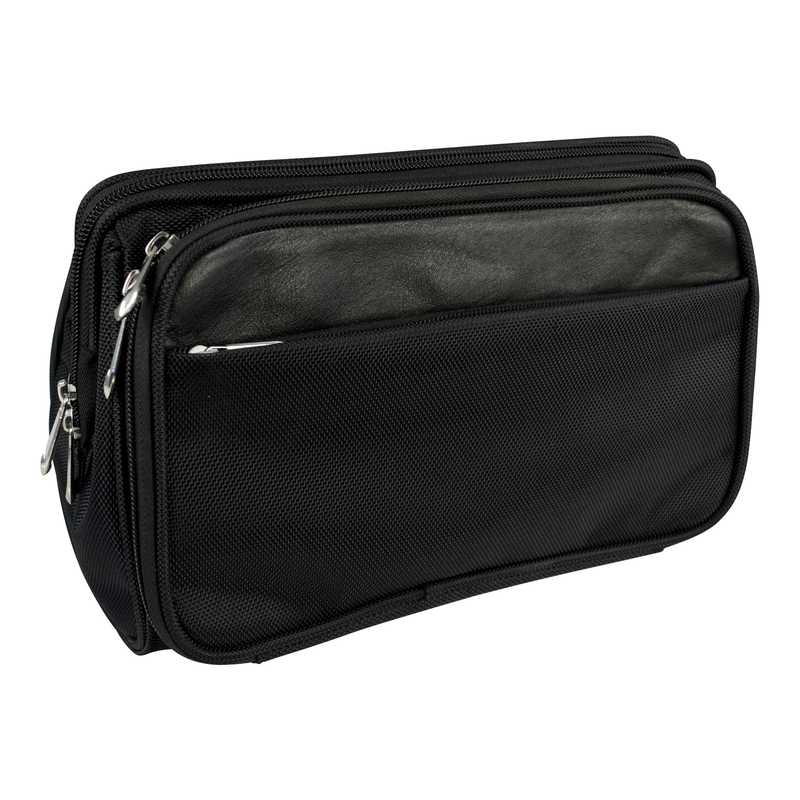 Black polypropylene toilet bag with three zippered compartments and Nappa leather trim. Ideal for the executive when travelling. Supplied in polybag.